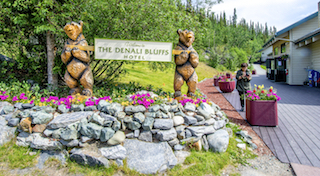 The Denali Bluffs Hotel is popular with travelers looking for a special opportunity to experience exceptional views of the majestic Alaska Range and Nenana River canyon. 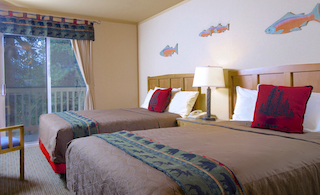 Nestled within a colorful tapestry of spruce and birch trees on the slopes of Sugarloaf Mountain, the hotel provides the ideal jumping off point for your special Alaskan adventure. 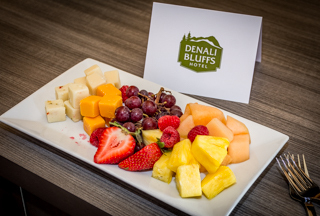 Denali Bluffs Hotel features comfortable guest rooms in 12 buildings tucked into the forest on the gently sloping hillside. 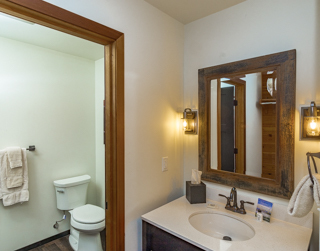 Guests will find all the conveniences of home and many rooms offer a private balcony and a breathtaking view of the surrounding Denali wilderness. 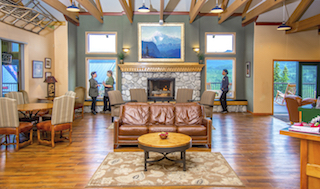 The inviting main lodge at Denali Bluffs Hotel features a timber-beamed great room bathed in natural light with a stone fireplace and traditional Alaskan art. 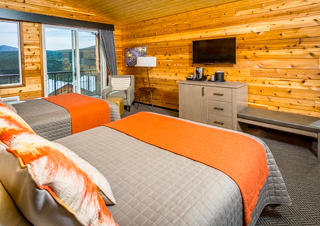 Scenic wilderness views can be found while relaxing in the lodge and you won't want to miss the viewing deck adjacent to the Mountaineer Grill & Bar. 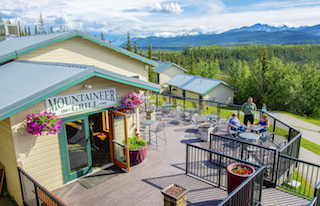 The restaurant's scrumptious BBQ selections and popular home-style Alaskan fare are certain to please, as do our local ales and hand-crafted cocktails. 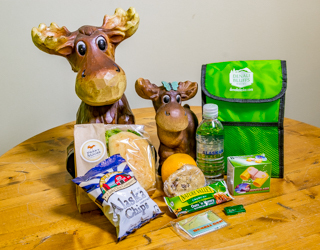 The nearby Perky Moose Pantry and cafe offers a variety of coffee drinks, teas, and an assortment of pastries, snacks and quick lunch menu items. 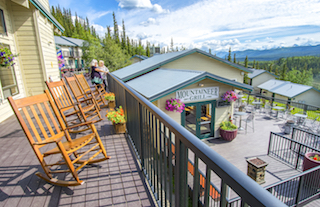 The Denali Bluffs Hotel is popular with travelers looking for a special opportunity to experience exceptional views of the majestic Alaska Range and Nenana River canyon. 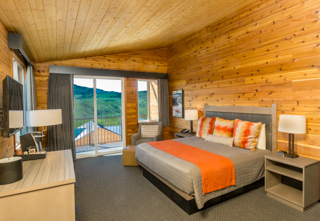 Nestled within a colorful tapestry of spruce and birch trees on the slopes of Sugarloaf Mountain, the hotel provides the ideal jumping off point for your special Alaskan adventure. 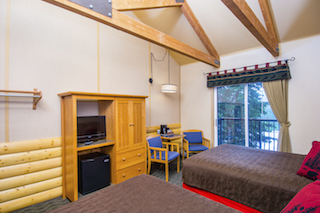 The Denali Bluffs Hotel features comfortable guest rooms situated in 12 buildings tucked into the forest on the gently sloping hillside. 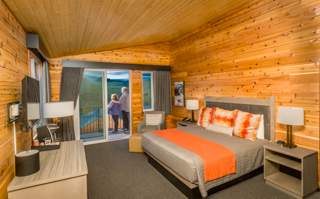 Guests will find all the conveniences of home and many rooms offer a private balcony and a breathtaking view of the surrounding Denali wilderness.